Are you a heart centered, spiritual entrepreneur or creative who’s ready to be spiritually AND financially abundant? Do you earn well but always seem to run out of money or can’t seem to get off the up and down rollercoaster? Ready to attract the income you desire, while using your gifts and talents to make the world a better place? You’ve come to the right place! Take the Divine Abundance Quiz! Divine Abundance Will Help You Transform It Once and For All! Discover YOUR Sacred Money Archetype and Divine Money Voice, unlocking what blocks your abundance when it comes to money. Solve the riddle as to HOW you’re going to move beyond (far beyond) your current money story and into true financial empowerment. Learn how to apply the power of your Sacred Money Contract (Yes, you have one… EVERYONE does!) to your life and business, so you can transform your ideas into financial success in big, meaningful and exciting ways. In the Sacred Money Archetype Quiz – Find out your top 3 Archetypes! Each one is full of powerful details to move you forward in experience of true Divine Abundance. Don’t miss this powerful, life changing opportunity! Within one day of completing this program, I booked a client for $40,000 paid in full in one day! To say this changed my life is an understatement!! Click below to take this quiz for free! 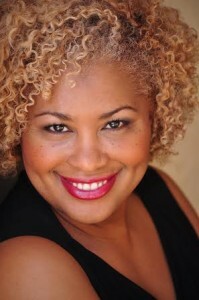 Orgena Rose is a producer, TV Host, composer and international star of stage and screen. In other words, she’s a Shine Your Light Expert! She is founder of the Divine Spirit Network, CEO of Sacred Rose Productions and creator of The Orgena Rose Show which shines a light on those who are letting their light shine. She specializes in helping spiritual women entrepreneurs, visionaries and creatives to heal, empower and transform their voice and message so they can share it out into the world in a bigger way and shine their brightest light! She has performed on Broadway, at Carnegie Hall, and toured internationally and appeared on OPRAH, Today Show, Rosie O’Donnell Show, PBS and Conan in Tyler Perry’s Row 11. She has appeared in numerous commercials and movies where her original music is featured, has sung with artists such as Patti Labelle, Audra McDonald, and shared the same stages as Wayne Dyer, Stedman Graham, Marianne Williamson and other great luminaries.